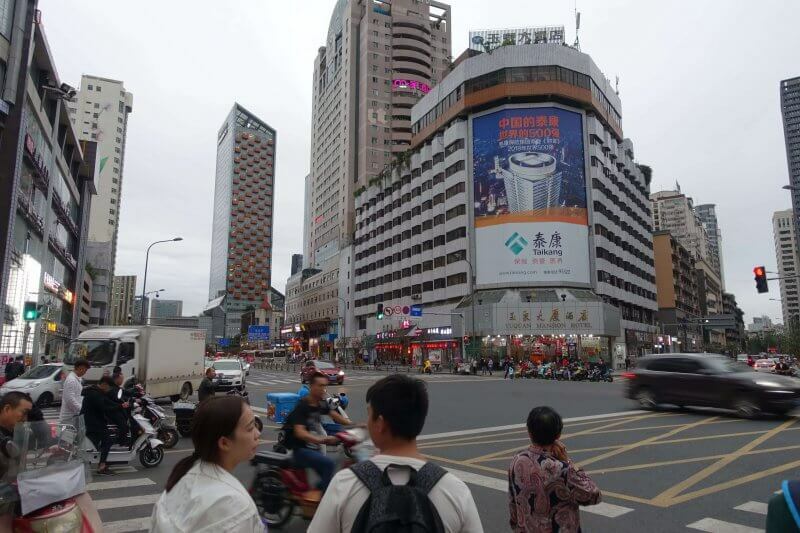 The final stop of my 1 week trip to Sichuan was back where we started, at Chengdu. After Kangding, Daocheng and Yading, we were back at Chengdu after a quick flight from the highest civilian airport in the world. 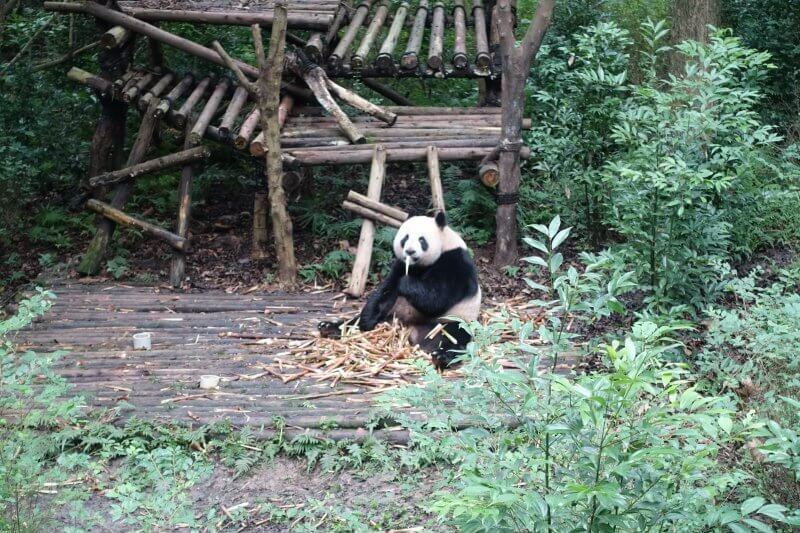 This was my second visit to Chengdu, the first being 3 years back on my way from Singapore to Moscow overland, where I made a stop in Chengdu in between Shangri-la and Beijing. This time, there was about a day and a half left before our flight home. Time to start exploring! 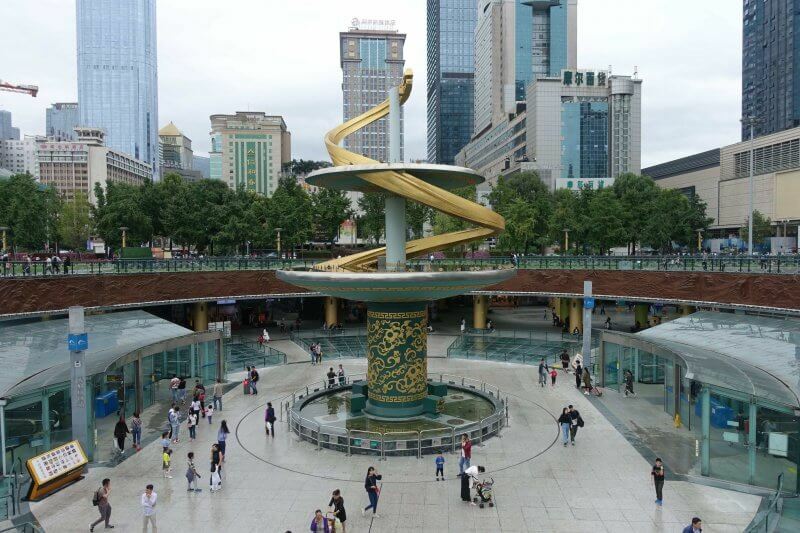 Our first stop, the center of the city, at Tianfu Square. 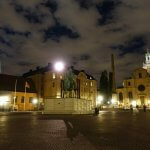 Standing in the middle of the square, everything felt familiar yet distant. 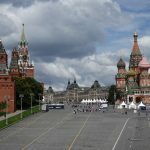 The square, the Mao statue, the museum were just as they were the previous time. Maybe the buildings had changed. Maybe it was the city. Or maybe it was me. Probably all of these. 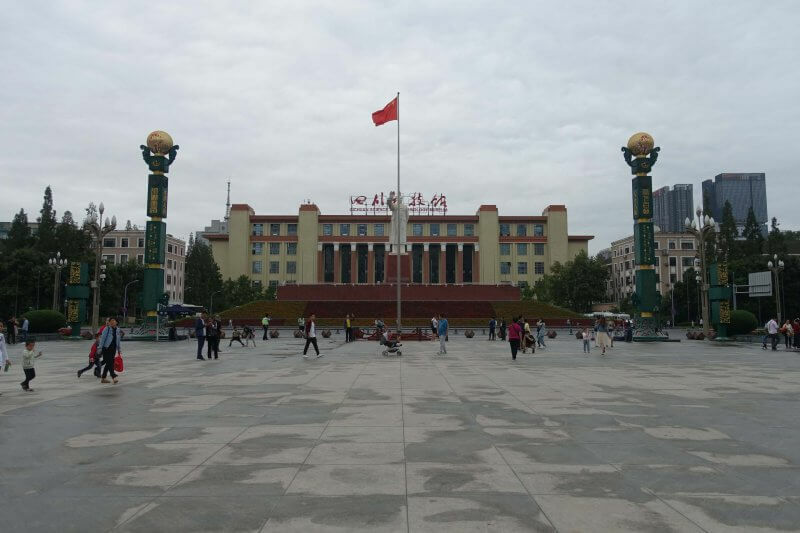 Tianfu Square, the huge Mao statue, and the Sichuan Science and Technology Museum. The underground mall and metro under Tianfu Square. 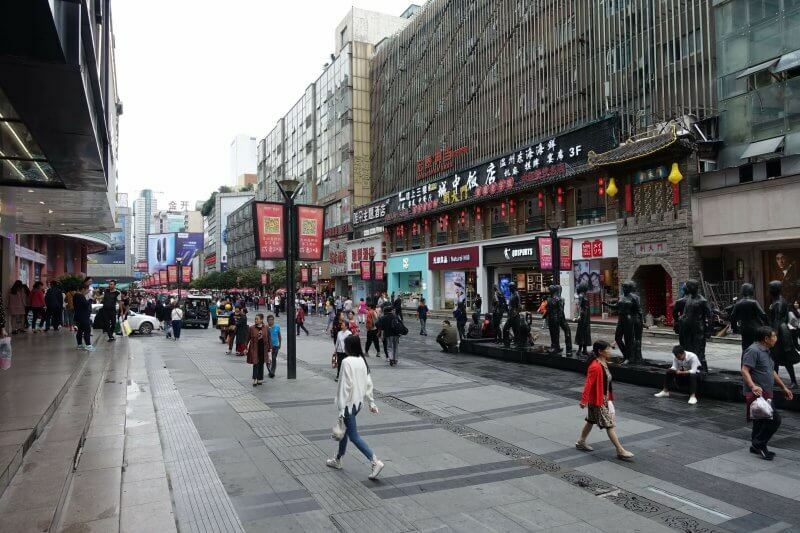 We had a quick stop at the square before attempting to find a Lanzhou noodle shop that I had visited the last time round that was near the square. Didn’t manage to find the exact one, and had lunch at another Lanzhou noodle shop instead. After lots of oily spicy food over the past week, the Lanzhou beef noodle soup was perfect, with lighter but no less delicious flavors. Walking in the city felt like a long forgotten comfort after a week in the mountains. Probably similar to any big modern city around the world, with a busy downtown lined end to end with global brands and a never ending stream of fast walking city folks. Barbecue skewers by the road side. Close to as unhealthy as it can get, not just barbecued but covered with a thick layer of seasoning. 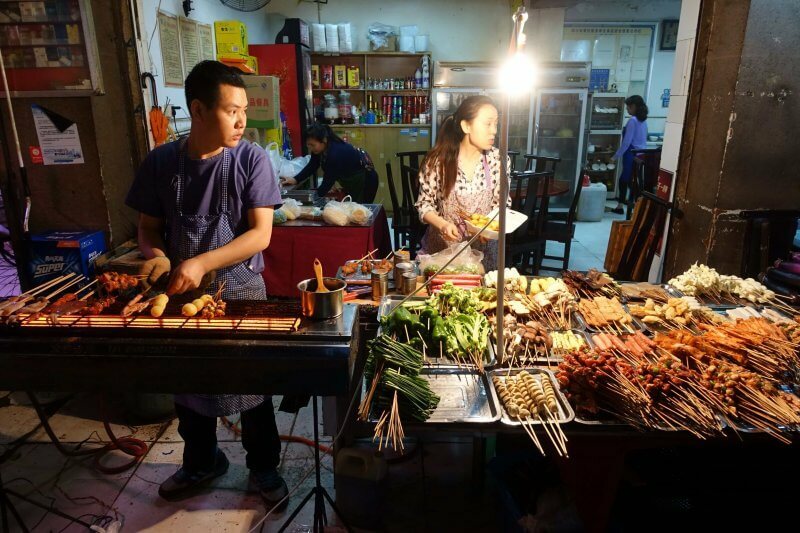 One of us had a diarrhea an hour or 2 after the barbecued skewers (and was very sure it was the skewers, not the next meal, don’t ask me how he knew) so as with other place I wouldn’t recommend street food here without a really strong stomach. The star of the night! Of us 3, 2 of us can’t handle spicy food (including me), so Sichuan wasn’t really an ideal destination food-wise. Nonetheless we had to end the trip with something authentically Sichuan. 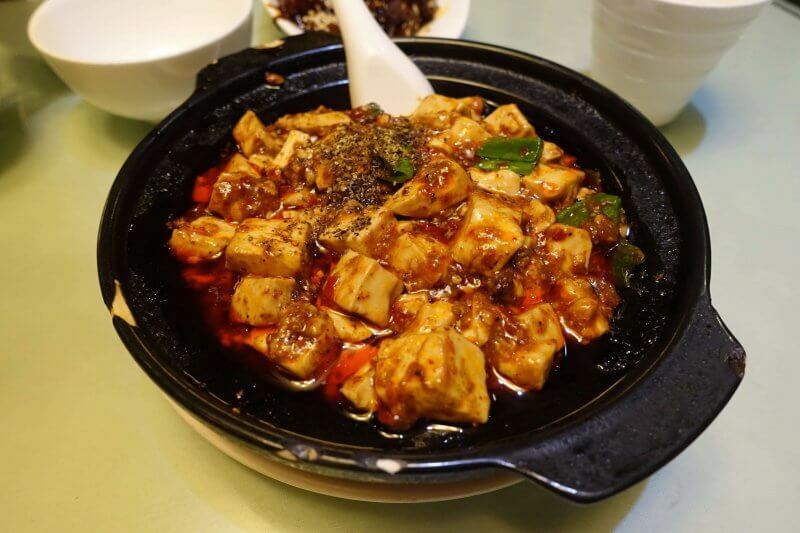 Chen’s Mapo Tofu Restaurant is over 150 years old, established in the Qing Dynasty, and is supposedly where Mapo Tofu started. 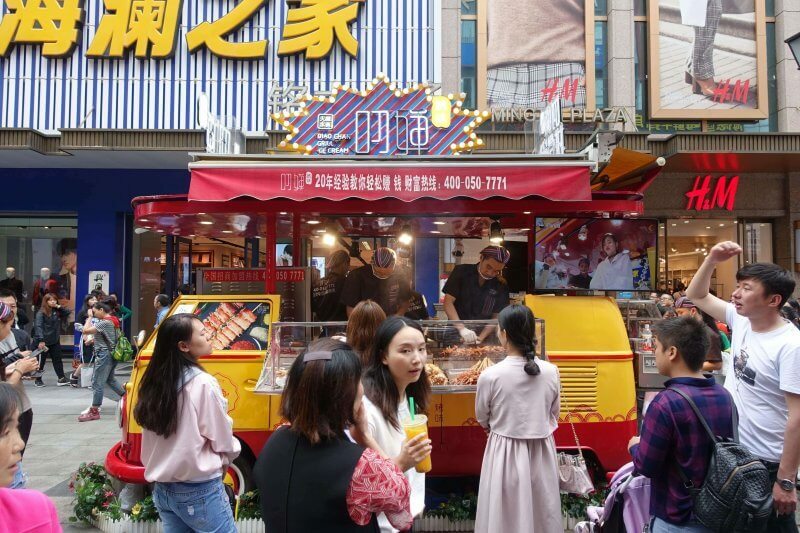 Today, the brand is owned by the government, and the restaurant is one of the food highlights in Chengdu. The Mapo Tofu here is nothing like what we have in Singapore. In fact if this is the authentic one I think I can’t be calling what we have in Singapore Mapo Tofu! It had very intense flavors, but mostly super spicy and numbing, as you’d expect from a signature dish of Sichuan. With a few mouths, even with rice, we were all sweating as if we were in a sauna, despite the air conditioning being quite good. Discounting the fact that this was the only Mapo Tofu we tried in Chengdu, I’d say this was really good, even if I could not stomach much of it. Chen’s Mapo Tofu bubbling in chilli oil. 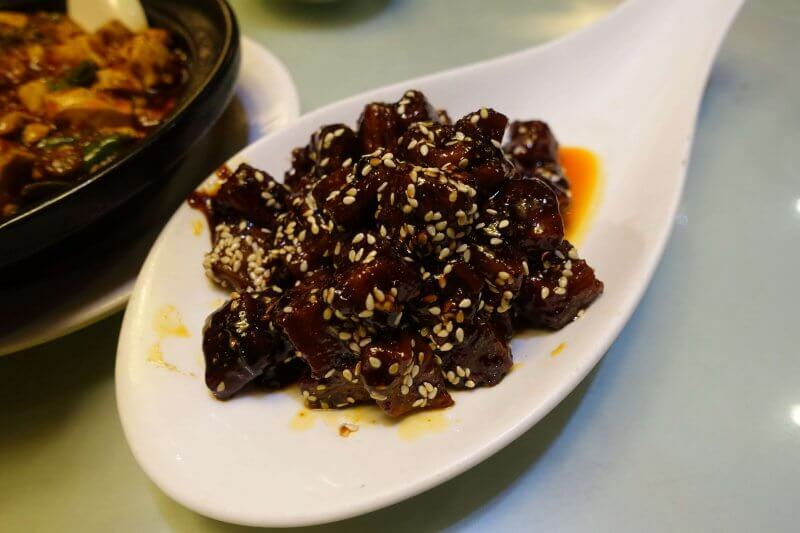 We got another dish which was small pork cubes fried in a sweet sauce, with the essential numbing spiciness. Despite it being way more spicy than the food I usually have, it was less spicy than the Mapo Tofu and was what I used to put out the fire in my mouth between spoons of Mapo Tofu. Can’t remember the name but these spicy pork cubes were a nice complement to the Mapo Tofu. Chengdu Old Yogurt from a supermarket. 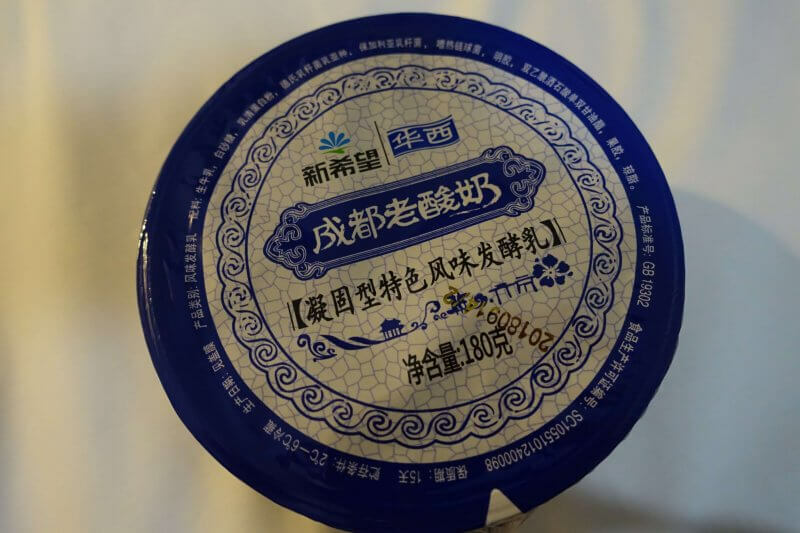 I think the Beijing Traditional Yogurt is more well known. Not sure if this was the traditional one but it did put out the fire in my mouth and stomach. The next day there was just one thing left to do before heading to the airport for our flight home. 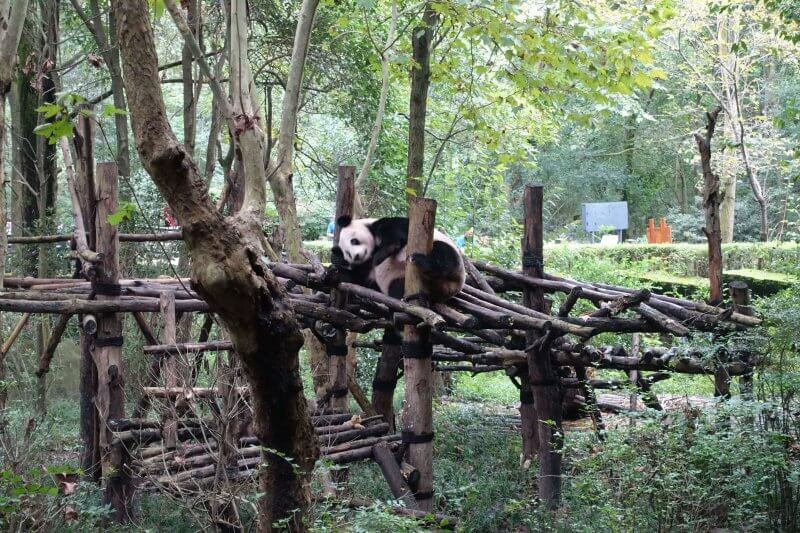 One of the quintessentially Chengdu things to do, checking out pandas at the Panda Research base! We took the metro to Panda Avenue Metro Station (Line 3) and then a bus to the Panda Research Base. At the metro station there are a variety of buses getting you to the research base, many run by agencies selling tickets to the research base and adding transport in the package. The barrage of touts closing in on anyone exiting the metro station can be overwhelming. In the end we bought tickets from a company with a shop outside the exit, and paid for an entrance ticket to the Panda Research base as well as return transport to the metro station for 55 CNY. Tickets at the door were going for 58 CNY so we figured 55 CNY can’t be too bad a deal. One catch was that they only accepted payments via Chinese payment apps and we didn’t have these apps/ accounts, and had to rely on the counter staff helping us pay via her phone. 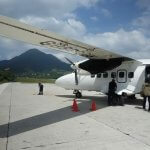 The bus ride from the metro station to the Panda Research Base was about 15 minutes. Entrance to the Chengdu Panda Research Base. There was a long queue early on a Sunday morning, but the queue moved pretty quickly and we were soon in. When we exited about 2 hours later the queue was significantly longer, so it may be a better idea to make the trip earlier in the day. Didn’t take long to find what we came for. There were a number of separate panda enclosures in the park, plenty to go around for everyone. One added perk of coming earlier in the day is being able to watch feeding time. 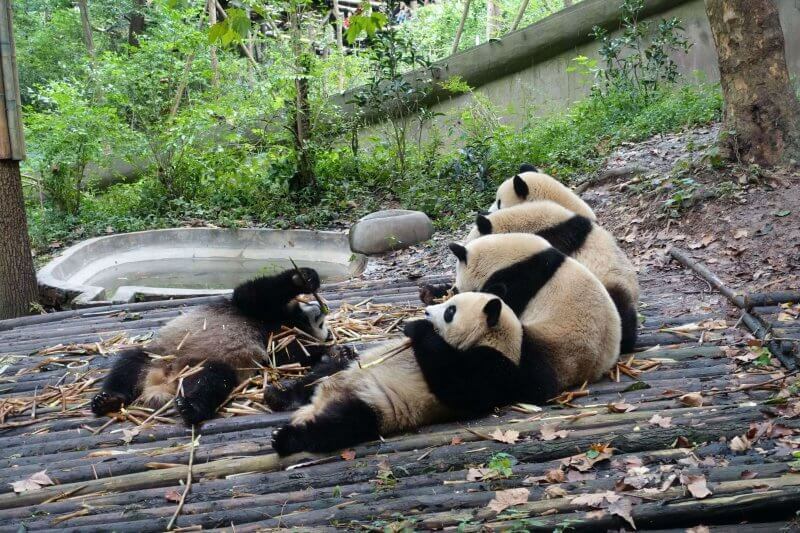 Amusing watching the clumsy pandas messily gnaw at the pile of bamboo shoots they’re sitting on. First time seeing a giant panda, but this giant panda has probably seen tens of thousands of humans. This one seemed to be itching around as it kept rubbing all over its body against the tree trunks. Wonder what it’s like sitting on a pile of food and taking my time with it, just like this giant panda here. Once an endangered species, conditions appear to have improved over time and the giant panda is now listed as vulnerable. The next biggest attraction, an enclosure with baby giant pandas! You can’t go wrong with a group of baby giant pandas tumbling around together. 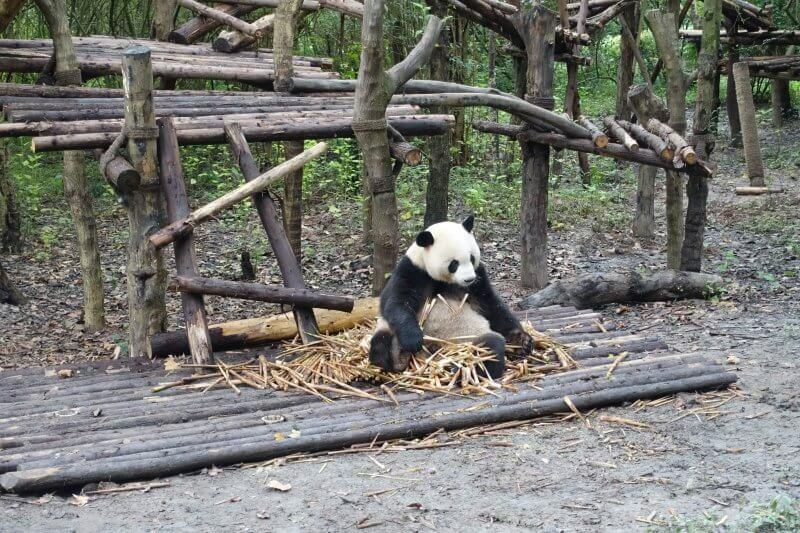 The Chengdu Panda Research Base has a very successful breeding program for the notoriously difficult to breed giant pandas, and you can see a few of their latest additions here. Other than the giant pandas, there are another kind of pandas at the research base that are no less adorable than the giant pandas. The red pandas is also native to China and is an endangered species. 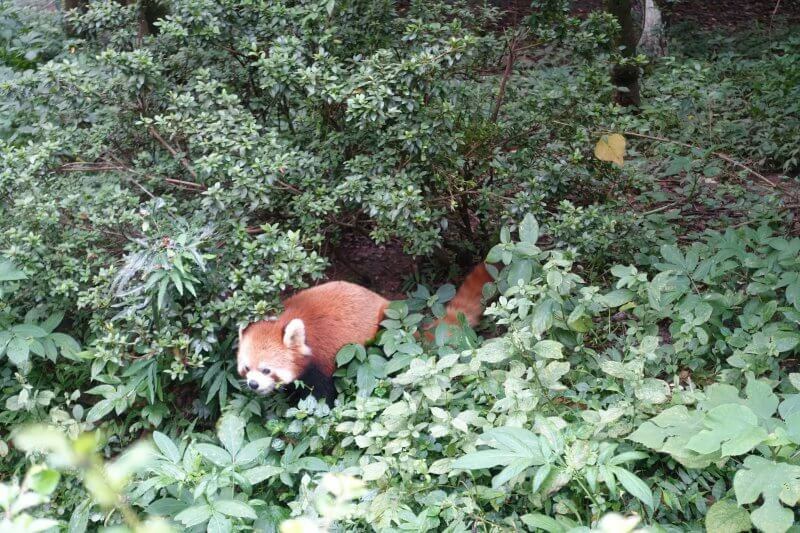 The red pandas were much smaller and quicker than the giant pandas, which make them harder to spot. Darting around in circles under bushes. 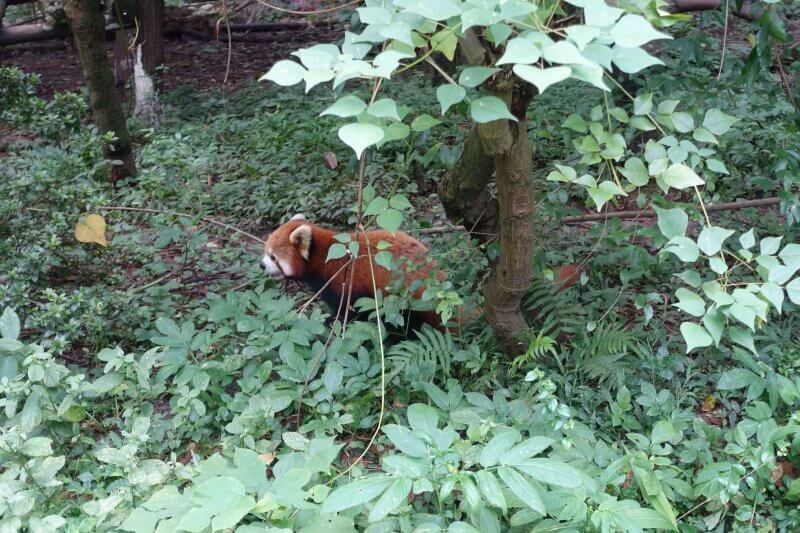 This was the clearest shot I had of a red panda there. 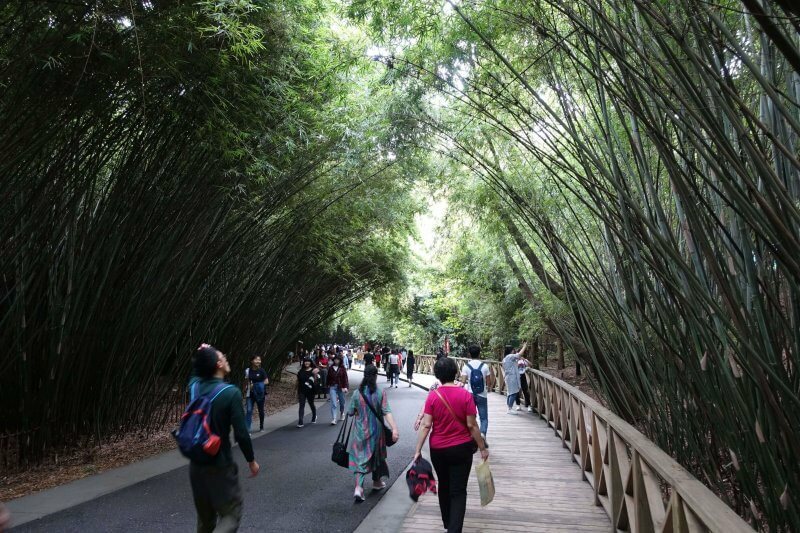 The panda research base is a nice park to walk around, with overhanging bamboo providing shade over the walkways, a small lake and some unusual birds hanging around. 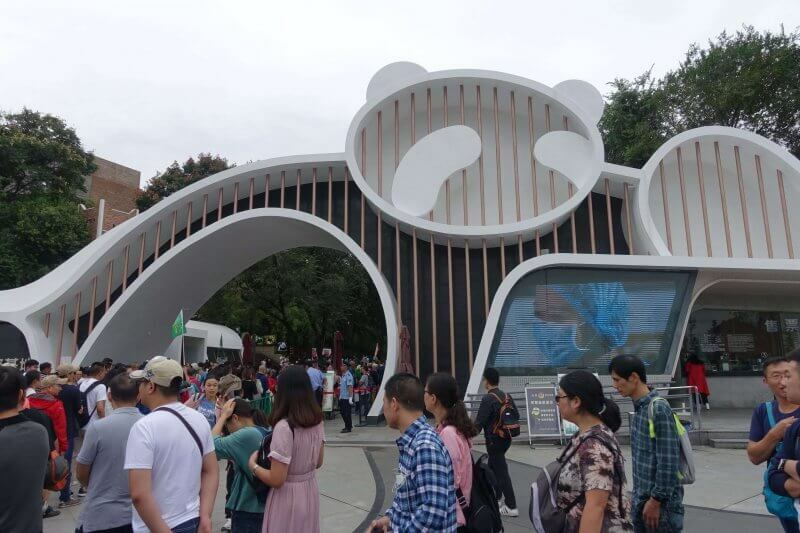 Walking between attractions in the panda research base. There are also exhibitions within the panda research base focusing on different aspects from the scientific studies to the artistic studies. 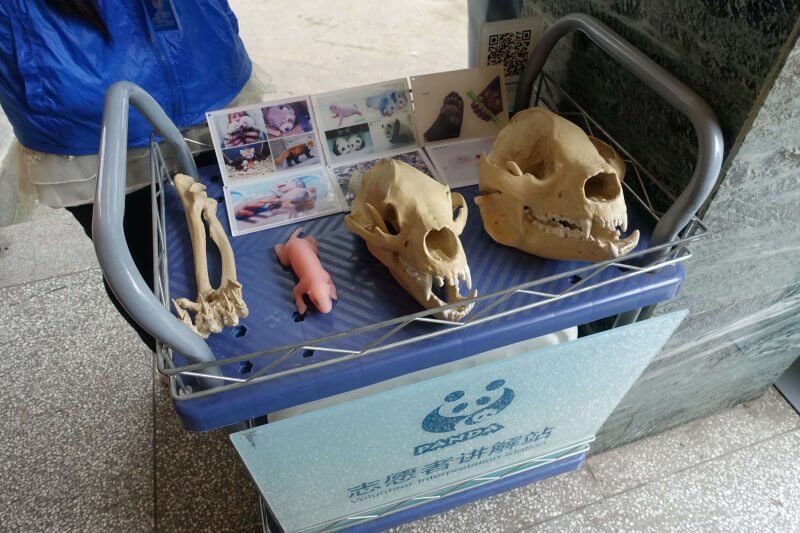 Comparison of giant panda skulls and the size of a newborn panda. 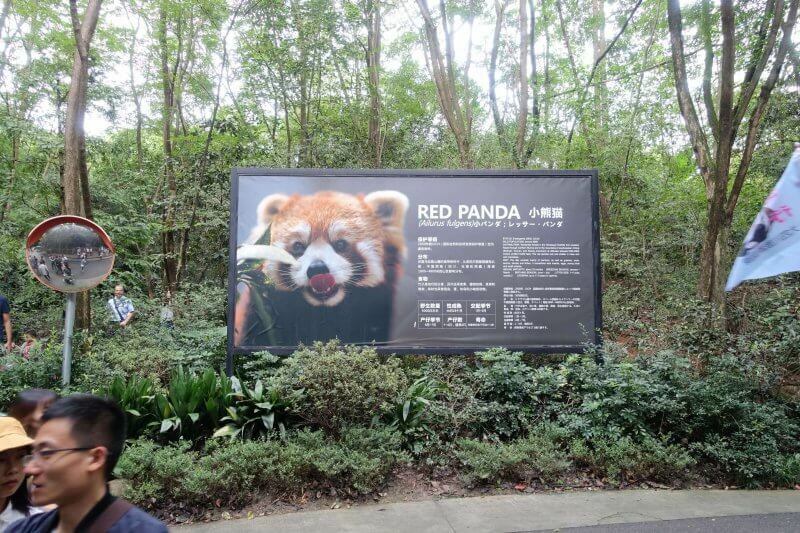 It’s possible to spend an hour or 2 longer to learn more about pandas but as we had a flight to catch and were happy to have seen the pandas (giant and red), we called it a day at the panda research base, went back to the hotel to get our bags, and headed for the airport. And that rounded up our week-long adventure to Sichuan! Things didn’t go 100% as planned but was still an awesome trip to a different part of the planet. Despite sharing a common ancestry and language, China felt like a very foreign place, I’d say more foreign than almost all of the other countries I have visited. Being a huge and powerful country it can afford to break away from the rest of the world and set its own standards, which makes it a refreshing experience but can also make it harder to adapt. More to check out next time, but probably a break for awhile first. 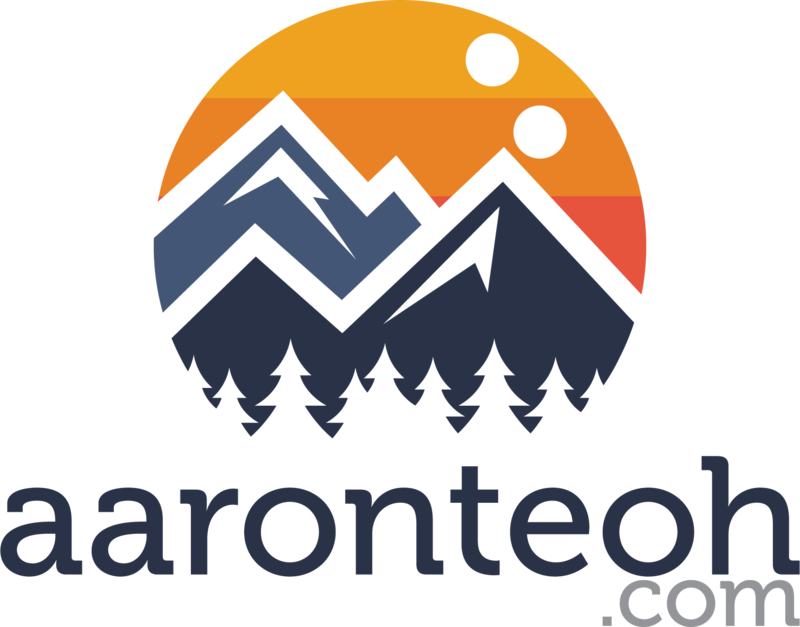 Till next time, stay tuned!